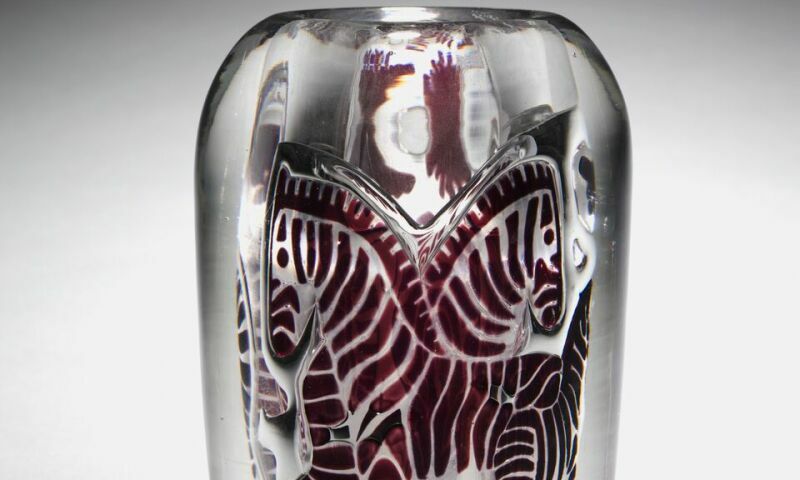 Victor Emanuel Lindstrand and Orrefors Glasburk, Zebra Vase, 1939. Graal glass; 23.2 cm (9/18 in.). The Cleveland Museum of Art, Dudley P. Allen Fund,1939.676.